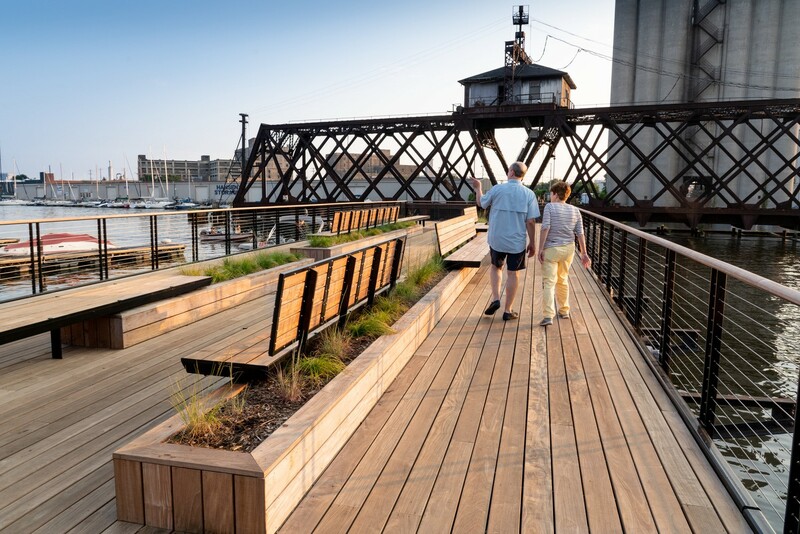 The last link needed to complete the Milwaukee Riverwalk System from Lake Michigan all the way through downtown, Trestle Park occupies the site of a former railway crossing of the Milwaukee River. With a now inactive railway swing bridge in midstream, the bridge once closed to a trestle pier that juts out 100’ into the river from the east bank. 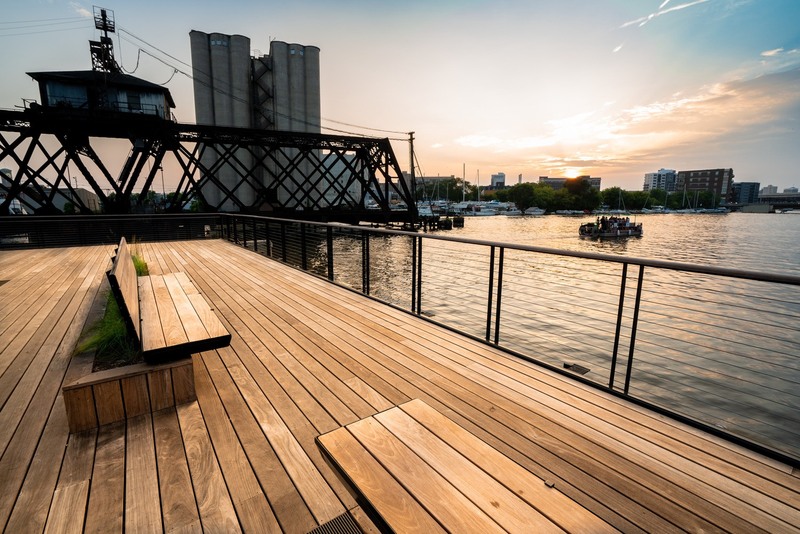 HGA was hired by the City to transform this old piece of industrial infrastructure into a public recreational resource. This trestle consists of a new Ipe wood deck, which folds up into Ipe wood benches and planters. 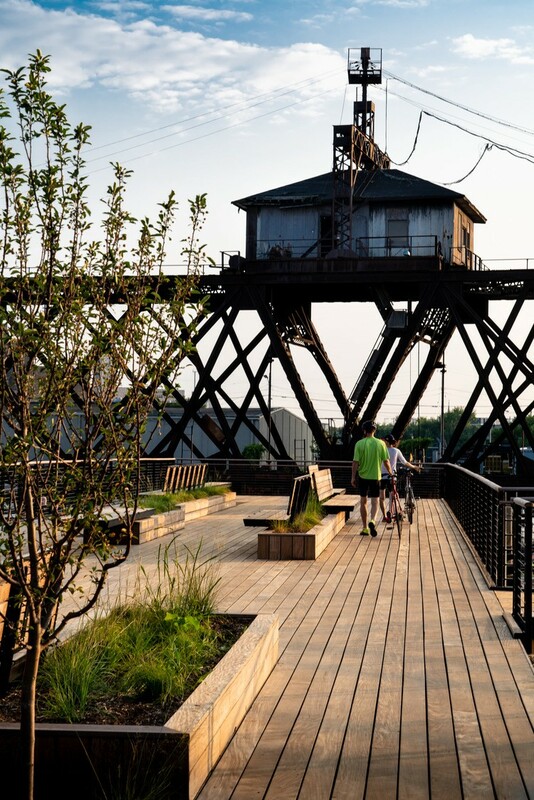 Visitors are able to go out onto the trestle and look up and down the length of the river, an experience that had not been available on the Riverwalk. The linear trestle deck continues east to connect to Erie Street, with historic railway overhead signal lights restored and repurposed. 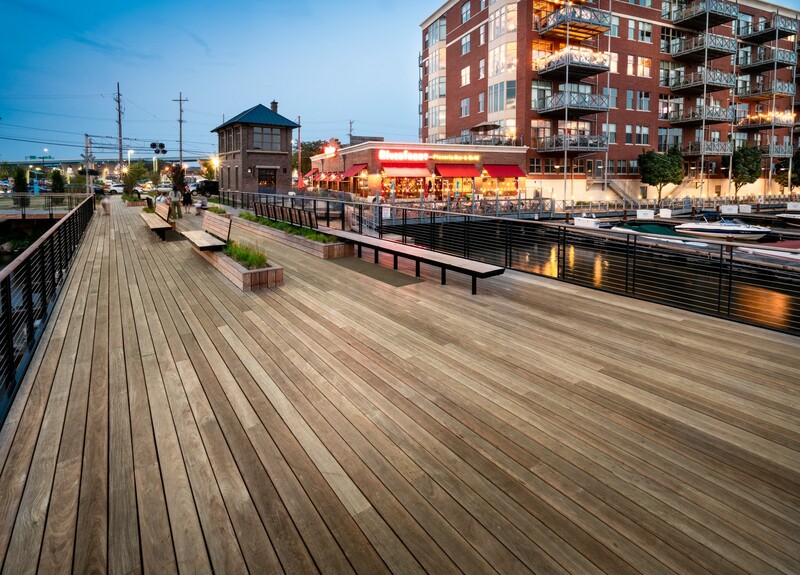 A new Ipe wood boardwalk also connects to existing north and south Riverwalk segments, with this walk elevated above the restored landscape habitat below. This trestle is now a pedestrian deck with seating and spectacular views up and down the wide lower river. 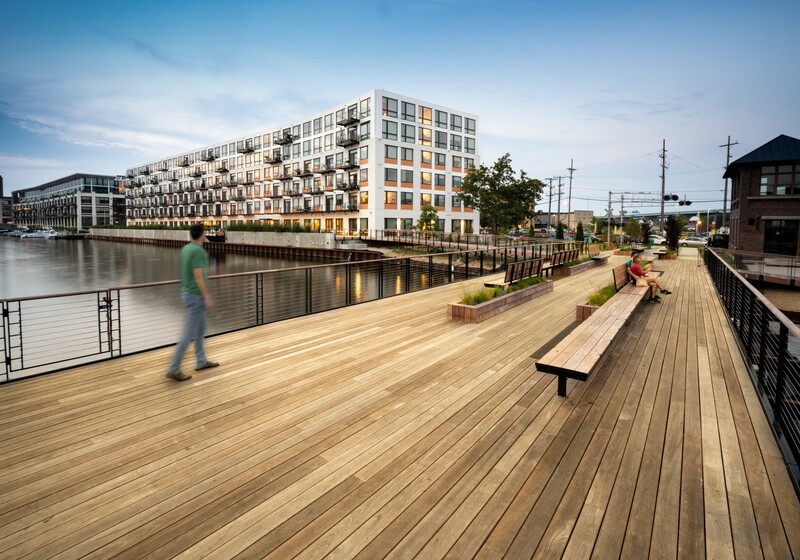 This deck also connects to a new Bublr Bike Station on Erie Street and invites bikers and pedestrians to come out and see the river. Trestle Park has been restored with native vegetation. A research effort uncovered the specific native trees that grew on the site at the time of the first European settlement, more than 200 years ago. This interesting homage to an older time will also incorporate a design that echoes the historic railway, creating a unique space that honors both the former rail line and the natural plants of this region. 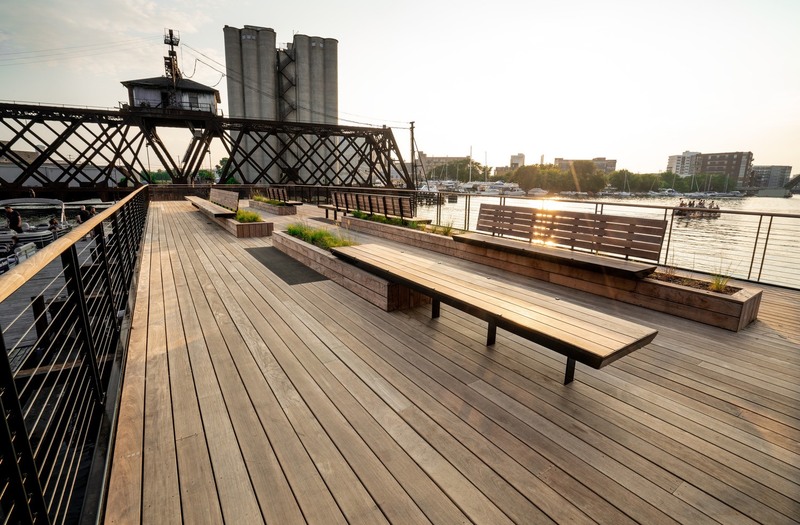 This green space slopes down to the river, spanned by a new elevated Ipe Wood boardwalk that completes the last unfinished segment of the Milwaukee Riverwalk’s east bank.